Enter the world of high-protein foods. Bodybuilding nutrition isn’t exactly rocket science but it does require some thinking and thoughtful application in order to achieve your physique goals. It’s not as simple as eating foods that are considered “clean” by the fitness magazines. Eating clean foods alone won’t be enough to bring the change that you need or want to see. 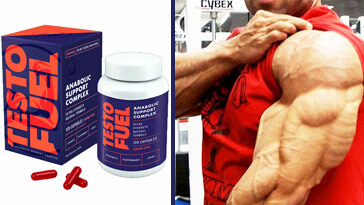 When it comes to bodybuilding nutrition, bodybuilders have two goals in mind, 24/7. These goals are to either get as big as they possibly can or to get as shredded as they possibly can. And to achieve either goal, there has to be some thought placed into which foods you consume. Even if you’re tracking macros, eating fast-food won’t be the best option if your goal is to add quality mass or shred down to the bone. Junk foods don’t have the same effect on your hormones that ‘clean’ foods have. 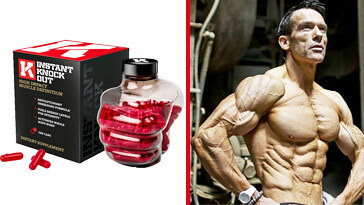 Therefore, opting for cleaner options is the way to go when selecting your bodybuilding foods. Egg whites have been a staple on the bodybuilding food list for more than two decades, and with good reason. The high protein content combined with zero grams of fat make this a no-brainer when adding to your bodybuilding food list. The egg white can also be used to make protein pancakes. Just mix it with a protein powder and voila! When buying eggs, always open the carton to check that none of the egg shells are cracked or damaged. It’s worthwhile to also examine the expiry date. The freshness of the eggs can be expanded by storing them in a refrigerator. Although, they can also be stored at room temperature. Egg whites are available for purchase as a standalone product — no yolks. However, it’s always best to buy whole eggs (because you know that you’re actually getting real eggs) and separate the yolks by hand. If you buy whole eggs, separating the yolk from the egg white is what you should be doing. There are a few ways to do this. Either crack the egg, over a bowl, into two and toss the yolk from one half shell to the other until all the egg white is in the bowl. 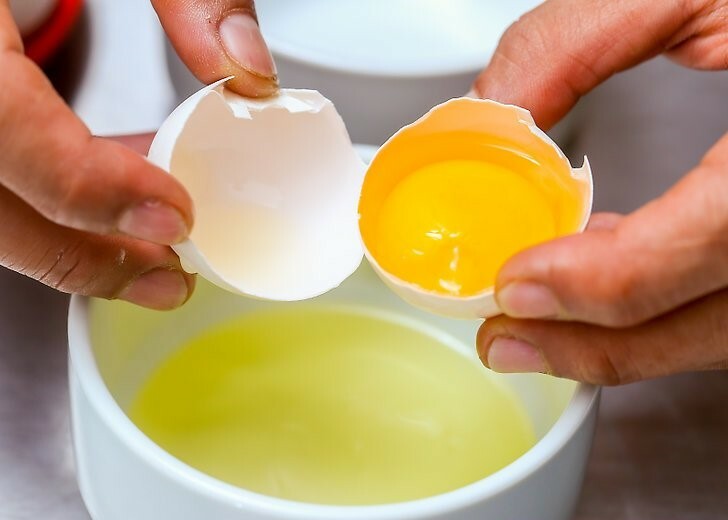 Another method is to break the entire egg into a bowl and using your fingers or a tablespoon to scoop out the yolks. Egg whites are most famously used for omelet recipes. To make a simple and easy omelet, break 6-8 egg whites into a bowl, add your favorite herbs, some salt & pepper, and whisk it all together with a fork. You can use either coconut oil or non-stick spray for the pan. Place the pan over medium-high heat and pour in the egg whites. Then, turn the heat down to medium. Place a lid over the pan and leave until the top of the omelet has been cooked. You can fold the omelet however you want. I like to just fold it in half. Before chicken breast was the go-to protein source for bodybuilders, lean cuts of red meat reigned supreme. 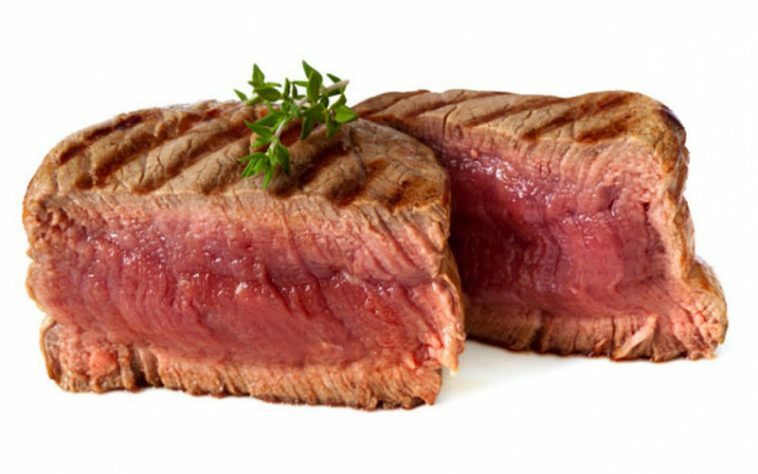 When it came to adding the muscle, red meat would fulfill that role like no other. 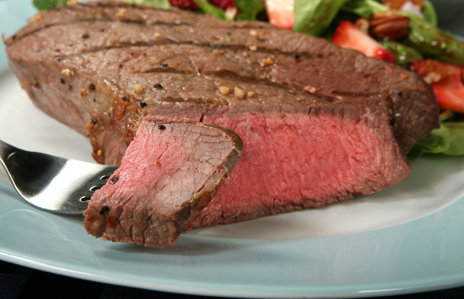 When buying top round steak, be sure to check that it’s always a bright red color. When it looks even a little brown, that means it has started to spoil. It’s best to buy a steak with the least visible amount of fat and that it is about one inch thick. Preheat the grill on high and trim off all bits of visible fat and cut the steak up into smaller ones. Season both sides of the steaks with salt & pepper (or your choice of seasoning) and rub it in. Cook the steaks on the grill for 3-6 minutes on either side or cook to how you prefer it. 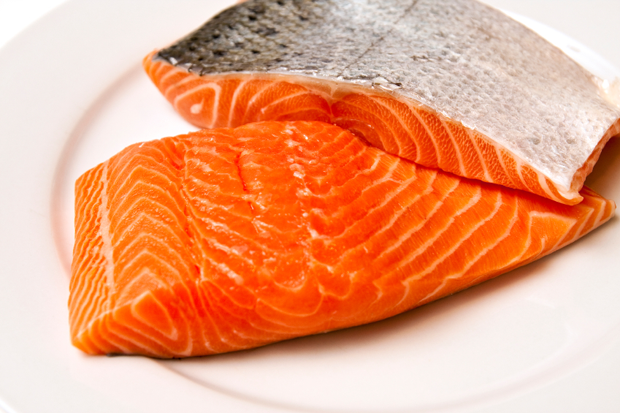 Salmon contains all the necessary macronutrients that you need to build lean, quality muscle. It contains a hearty amount of protein, as well as a goof serving of unsaturated fats. Salmon is a good food choice to go with when you’re dieting down for a bodybuilding competition, due to its combination of fat and protein. Salmon is widely available in grocery stores all around the country, so finding salmon should be difficult. However, you could always go to a fish market to get the freshest meat. On that note, try to find salmon that is bright orange in color because that means it is fresh. Also, opt for the thicker cuts. They might cost more but they sure pack a punch in the nutrition department. Makes sure that all bones are removed from the fillet. Preheat your oven to 400 degrees Fahrenheit. Lay a sheet of aluminum foil over a baking tray and place the fillet on the baking tray and season it any way you see fit (you can never go wrong with a little salt & pepper). Bake the salmon fillet for about 10-14 minutes or until it is pink in the center. You had to see this one coming. Try having a conversation with a bodybuilder and you’ll hear them utter the words “chicken breast” at least three times. Chicken breast has gained popularity as a top bodybuilding food due to its availability, versatility, and affordability. 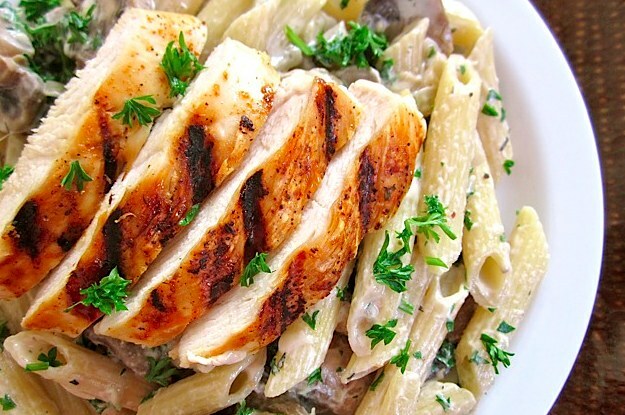 There is nearly no end as to what you can do with chicken breast. There are so many ways to serve and prepare it. Chicken breasts are an affordable source of protein and can be bought at literally every grocery store. Always check the sell-by date on chicken breast and check that it is pink in color. If unsure, you can always give the packaging a smell. If it does give off a little bit of acidity when you take a whiff, then you know that you shouldn’t grab that package. Probably one of the easiest ways to prepare chicken is to cut it up into little cubes, season the meat, and toss it into a pan. So, start off by cutting the chicken breasts into small cubes. After you’ve done that, throw the cubes into a non-stick pan and season with whatever spices your heart desires (I like to use ‘Portuguese chicken” spices). Using a spatula, move the cubes of chicken breast around until they are all covered with seasoning. Place the pan onto the stove and turn the heat on to medium-low. Leave the meat for a few minutes until it starts to turn white. Then, stir the chicken around every few seconds until all the cubes are white. If there is any water at the bottom of the pan, turn the heat up to medium until all the water evaporates. 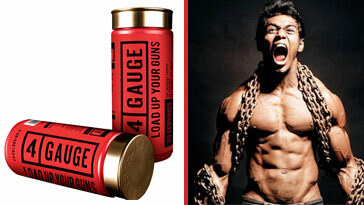 Following a diet consisting of high-protein foods is a delight where gains are concerned. Without the inclusion of high-protein foods in your diet, your results will remain mediocre. Now that you know which foods are essential for adding on that lean, quality muscle mass, you can start making changes to your nutritional program which will allow you to see a positive change happening in your physique and life. Steer clear from eating fast-foods and go with the healthier, more rewarding choice of bodybuilding’s high-protein foods. You’ve got the info, now put it to work!